Sorry, No Circuit Boards at this time. 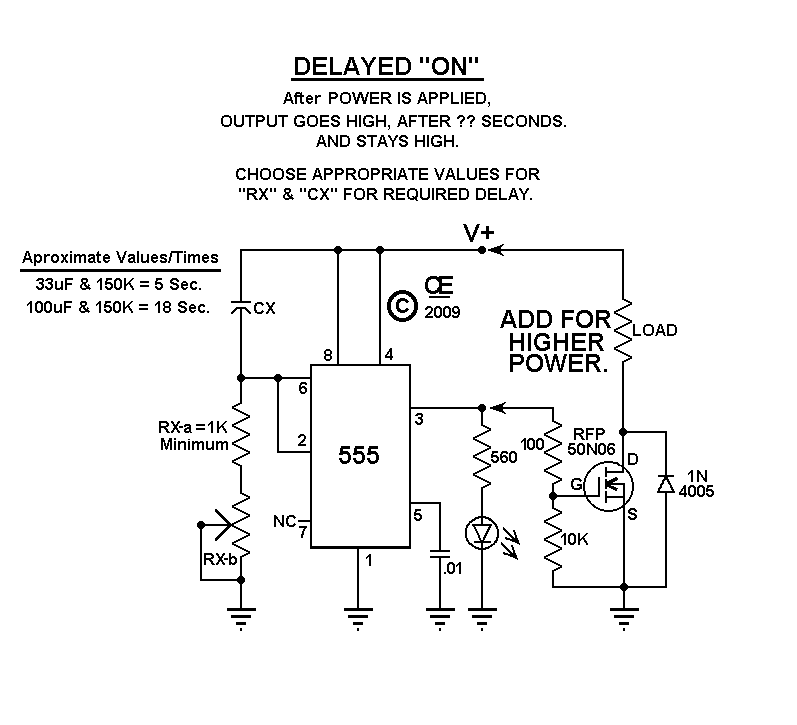 Upon Applying Power to "Timer-1", It has a Delay of a Number of Seconds, as Determined by You. Then it output goes Hot. A Mosfet can be Added as shown to drive more Current. 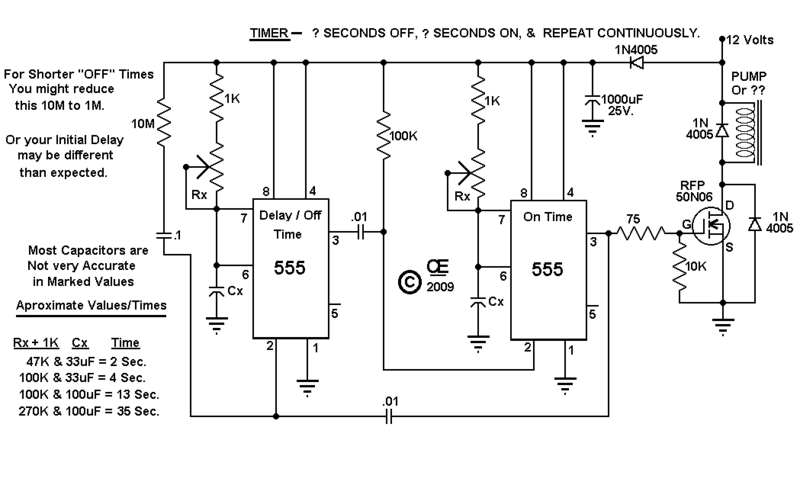 Upon Applying Power to "Timer-2", It has a Delay of a Number of Seconds, as Determined by You. Then it output goes Hot for a number of seconds, Then the Delay again, Hot Again, AND REPEATING. I use Timer-1, in my Truck. to my Alternator, about 45 Seconds After Starting. This Prevents an Excessive Load to the Alternator on Start-up. Which is especially good in COLD Weather or Hard Starts.